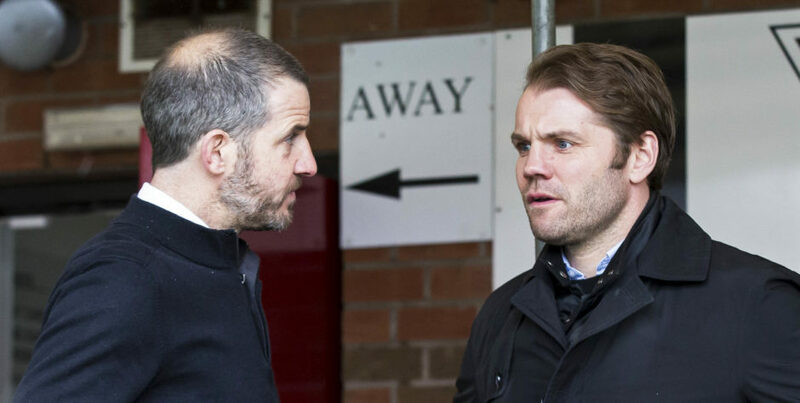 Dundee United boss Robbie Neilson admits that while he was desperate for Saturday’s match at Dunfermline to go ahead as planned, the late postponement gave him more time to prepare his players for tonight’s crunch clash with Ross County at Tannadice. The Tangerines’ team bus was already at East End Park when the game with the Pars was called off at 1.30 due to a waterlogged pitch. It was a bitter blow to the manager as he had hoped to close the 11-point gap on Ross County at the top of the Championship. However, the free Saturday means his players are even better prepared and refreshed going into this evening’s game. Neilson said: “It was disappointing for us all as we were in the dressing-room waiting for it to go ahead. “But obviously the pitch wasn’t right and it was cancelled. “We were more disappointed with the lateness of it with the fans travelling down and us travelling down. 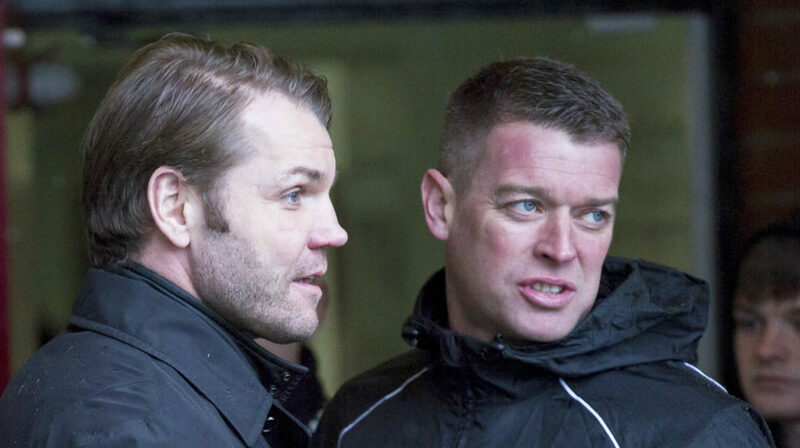 “But it is up to Dunfermline and the SFA to come to an agreement and we just have to turn up. “You try to give it as much time as you can to get the game on as everyone wants to play it but it wasn’t to be. “To be honest we were desperate to play it. “We really wanted the game to go ahead as it gave us a chance to pick up three points and if we had done that it would have brought the points gap down. 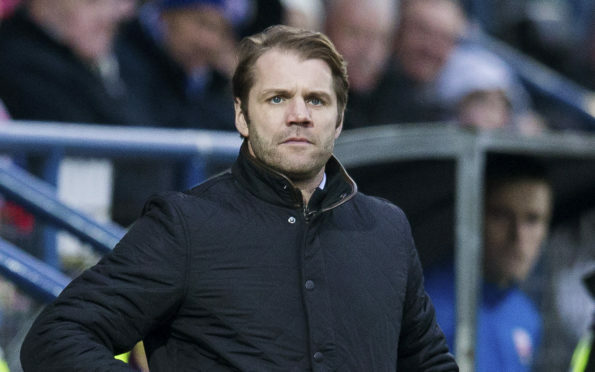 Neilson knows only too well the importance of tonight’s match but he insists that with the Staggies so far in front at this late stage of the season, his players cannot afford to drop points in any of their remaining matches. 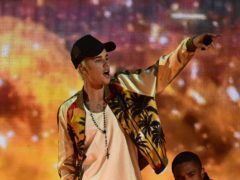 He added: “It is a big, big game for both teams but especially for us. We need to win it to get ourselves back in it again. “I think they are all must-win, to be honest with you. The games we have left, we have to win them all to give ourselves a chance. “There are a lot of decent teams in this league and it is difficult to put a run together. “But we have to try to do that now. We are at that stage where we have to put results together. United will be without injured striker Osman Sow and fellow front man Pavol Safranko who is away on international duty with Slovakia.